Love seeing my work remixed. 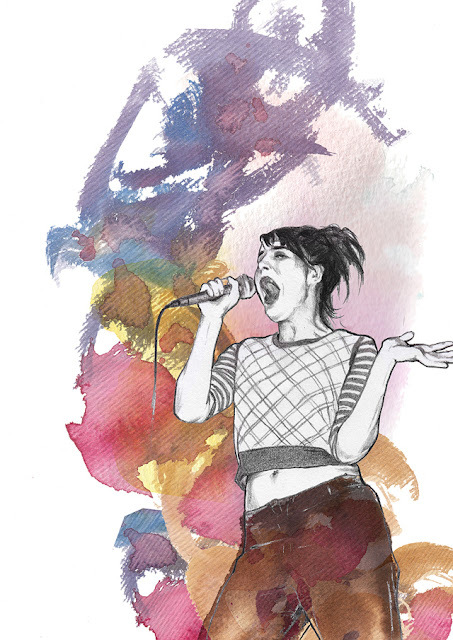 This illustration of Kathleen Hanna is by Sara Stode of Sweden, based on a pic which can be seen here. Fugazi are releasing a recording of the show at the ANU Bar in 1997 , where this pic and the one of Ian were taken.